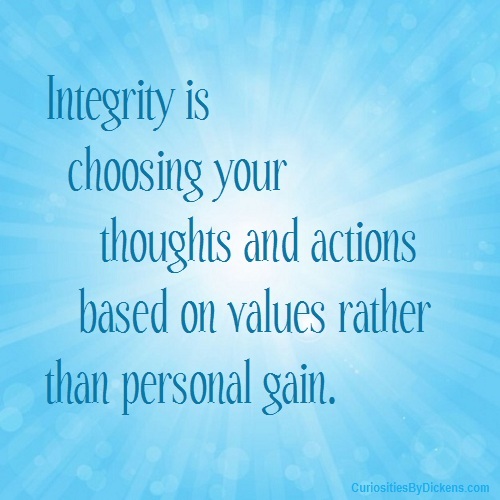 I’ve had a few conversations lately involving morals, values and being a person of integrity. 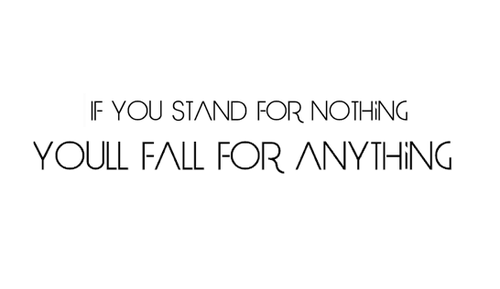 For me, it’s important to be a person who stands for something and has a definite sense of right and wrong. Our media and entertainment industry tend to glorify people conducting themselves in less than stellar ways. It can be hard to be an individual when you’re bombarded with images that encourage you to think a certain way, dress a certain way, behave in a particular manner that may contradict your beliefs. Am I living my personal truth? Do my actions fall in line with the person that I see myself as?